FenoLogica’s Scientific Advisor, Dr. Aimee Dudley, saw a capability gap that hindered the pace at which the Dudley Lab could perform their functional cell system analysis. The Dudley Lab devised a custom solution that dramatically increased the scale, accuracy, and efficiency of their research. Recognizing the commercial potential for such a system, PNRI and FenoLogica completed a licensing and collaboration agreement in June 2016 to translate the technology and proprietary protocols into a commercial device. Nobel Prize Laureate Dr. Yoshinori Oshumi's ground-breaking genetic experiments took 26 weeks of labor (over 2 years). FenoLogica's technology would enable a 4-week timeframe for the same experiments! Learn more. Our initial system, targeting microbiology, involves probing solid cell assays with multispectral imaging; capturing images rapidly with high-resolution instrumentation; and extracting detailed information from the images with our proprietary software. The volume of high-dimensional data enabled by the FenoLogica imaging instrument is funneled for the user through our image analysis software and cloud solution. This includes easy-to-use routines, a cloud architecture allowing for experiment and data accessibility anywhere, as well as predictive classification tools to enable intelligent data retrieval and interpretation. 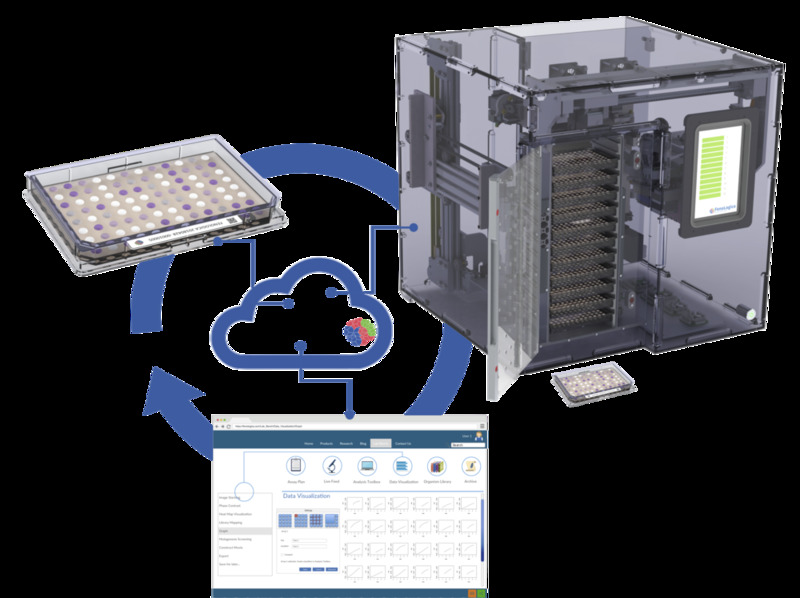 With FenoLogica’s imaging platform, solid cell assays are measured in situ inside your incubator. This format enables continuous, undisturbed analysis over days or weeks providing researchers with rich kinetic data and phenotypes critical for understanding biological function, disease pathogenesis, drug discovery and more.